JioFi 4G Hotspot is one of the leading WiFi routers used in India. We can connect up to 10 wireless devices with it and share the 4G data connection. So, by JioFi WiFi Hotspot, we can create a wireless LAN in a home or small office without any difficulties. While creating a home network using JioFi Hotspot, we need to assign a unique name for your JioFi WiFi. This article teaches you how to change the default JioFi 4G Hotspot WiFi name and wireless password. This article also teaches you the importance of changing the default JioFi network name to a unique one. To change default JioFi 4G Hotspot SSID and wireless key, you need to connect your PC to this device using the default SSID and password. You can find the default JioFi wireless network name and password on the back panel of the package box. Switch on the Hotspot and scan for available wireless networks, and connect to your Jio SSID. Once the connection established between the Jio WiFi router and the PC, you should follow the steps provided below. 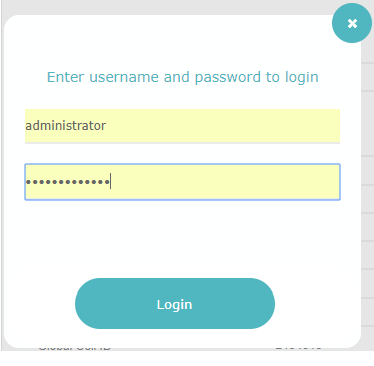 You need to enter the default JioFi login username and password. Both are the administrator and click on the login button. You may be prompted to change the default JioFi 4G Hotspot login username and password. Once you have changed them, click on WiFi. Under WiFi, you can change the default JioFi wireless network name and encryption. Once you have changed the default SSID and WiFi encryption, click on the Apply button to update your changes. We advise you to change the factory set Jio WiFi Hotspot SSID and encryption key as soon as possible with a unique SSID and password. In addition to the security benefits, it is a good practice to set one unique SSID for your home wireless network. When I switched on this device on the first day and scanned for it on my computer, I got confused with many WiFi broadcasts with similar Jio name. Only a few digits are different between mine and neighbors' Jio 4G SSID. Similar names like JioFi4_047737, JioFi4_033926, JioFi2_074732, etc.. It was a very confusing situation. That was one of the reasons which tempted me to change the factory set name. Hi, I read the full article, and I have one query on JioFi Router Login. I am unable to Login into Jiofi.Local.html. Please Kindly tell me how can I login into Jiofi website. Try the steps below and inform me if you are still facing the trouble. 3. Try to access Jiofi.Local.html on a different browser.